Forklift for Sale - Sole New Zealand importer of top branded forklifts. As a result of our unsurpassed record of service and reliability, you know you can count on Fowlers Machinery to be your one-stop-shop for all things forklift, including forklift hire, forklift sales, forklift maintenance and forklift parts. “Our association with Fowlers Machinery goes back at least 11 or 12 years, and we have found them to be a company of high repute and good people to work with. The Jungheinrich forklift is ideal for our circumstances and we use them in all our branches – Fowlers Machinery are very easy to work with, responsive and responsible.” – Jeffrey Turner, Chairman Fresh Direct. In addition to the industry experience of long serving staff, Fowlers’ factory trained technicians, and knowledgeable parts personnel, are closely supported by the manufacturers of top forklift brands. Fowlers Machinery customers can be confident in the personal forklift services offered by the team – customers deal directly with people who have the authority to make quick, expert decisions. “We are an experienced and dedicated team who collaborate closely with our clients to provide exceptional service and quality equipment whilst maintaining an absolute commitment to the health and safety of our employees , partners and customers. 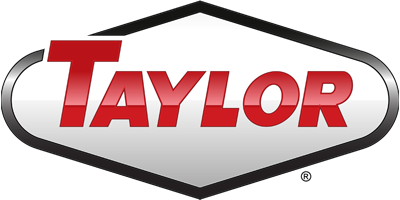 ” –Des Walsh, Director Fowlers Machinery 2017 Ltd.
We are the sole New Zealand distributor for Taylor Machine Works (U.S.A) and Svetruck (Sweden), and also distribute for T.C.M Forklifts (Japan) and Jungheinrich Electric Forklifts and Warehousing Equipment (Germany). Fowlers Machinery 2017 Ltd supplies specialised attachments for all types of materials handling.